Sy, No. 5/3 & 6/2 1st Cross, Kothanur Village, Uttarahalli Hobli, J.P. Nagar 8th Phase, Bangalore - 560076, Karnataka, India. 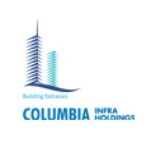 Columbia Infra Holdings Company Established In Bangalore To Focus On Construction Developments Of Residential Commercial Buildings, Individual Villas, House And Flats. Objective Are “Quality Construction" “More Value For Money” With This Vision And Strategic Planning To Provide Quality Service That Exceeds The Expectation Of Our Esteemed Customers. Columbia Infra Holdings Supremely Dynamic And Competitive Sphere Of Property Developments One Name Has Consistently Been A Trailblazer Setting The Trends For Other To Follow Columbia Infra Holdings Established In 2016 By Ramesh.L And Mr. Surendra Babu.Ppartners The Company Has Been The Pioneering Force Behind The Rapidly Changing Sky Line Of Southern India With Development That Span The Residential And Commercial Sectors.